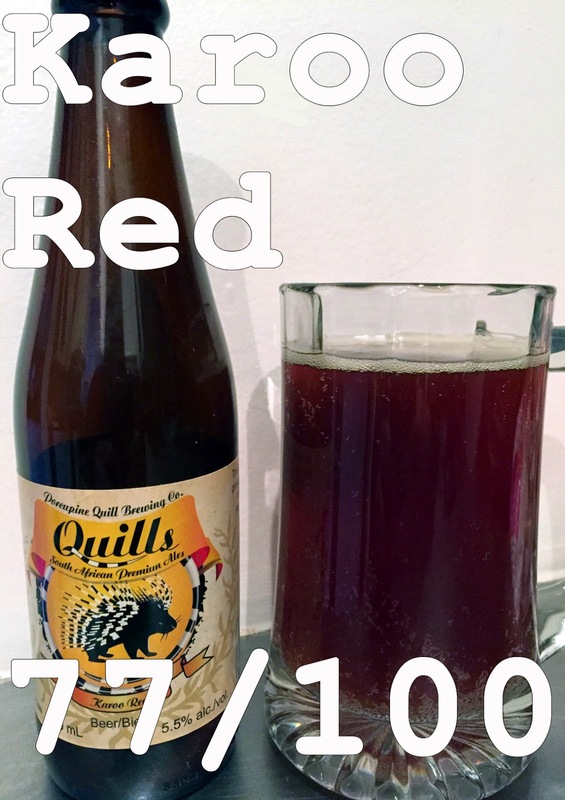 The beer we are trying from them today is the Porcupine Quills Karoo Red. It's an American amber ale that has been highly hopped with Williamette whole flower hops to give it a pronounced bitterness. Coming in at 49 International Bitterness Units (IBU), it's right up there with any IPA. Similar in style to the Hopped Red Ale we had from Australia, I’m curious whether the makers of the Calendar consider this to be a different style simply because it is called a Red Ale rather than an India Red Ale. Either way, I am excited to give it a try!